M. atlanticum of Michigan Flora. Fields, banks, and roadsides, escaped from cultivation. First collected in 1914 in Berrien Co., and spread now throughout much of that county, but only rarely collected elsewhere. MICHIGAN FLORA ONLINE. A. A. Reznicek, E. G. Voss, & B. S. Walters. February 2011. University of Michigan. Web. 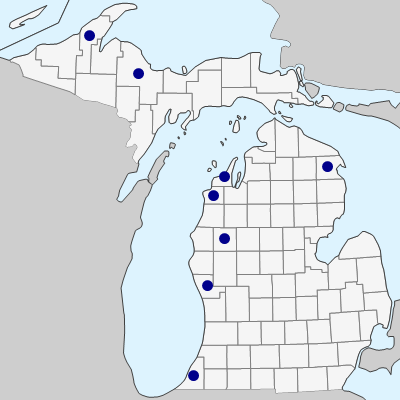 April 20, 2019. https://michiganflora.net/species.aspx?id=1440.